Florence, Italy is full of so much history and beauty. My husband won a trip to Italy and it was such an amazing experience. We were flown first class on Delta and served a four course meal along with breakfast, snacks and drinks! We also had unlimited movies, TV, music and seats that reclined into beds. If you ever have the opportunity to fly first class overseas, I highly recommend it. 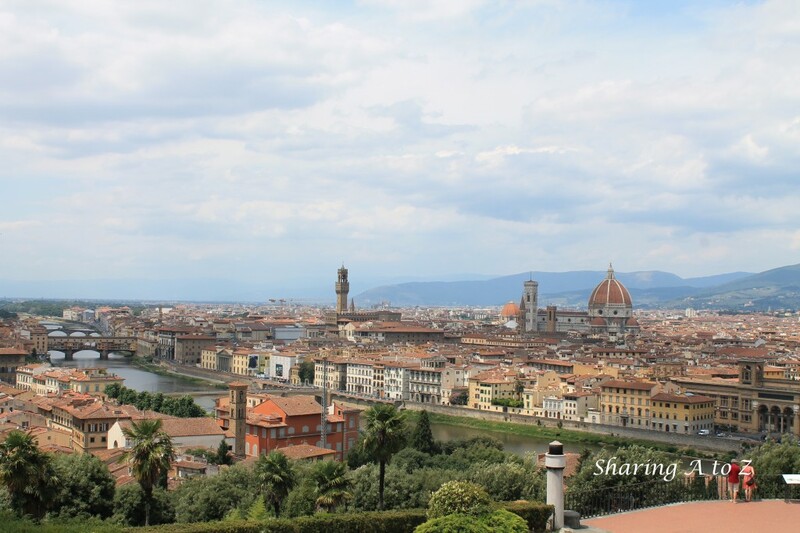 We stayed at the Lungarno Hotel, which is right on the banks of Florence’s Arno River. 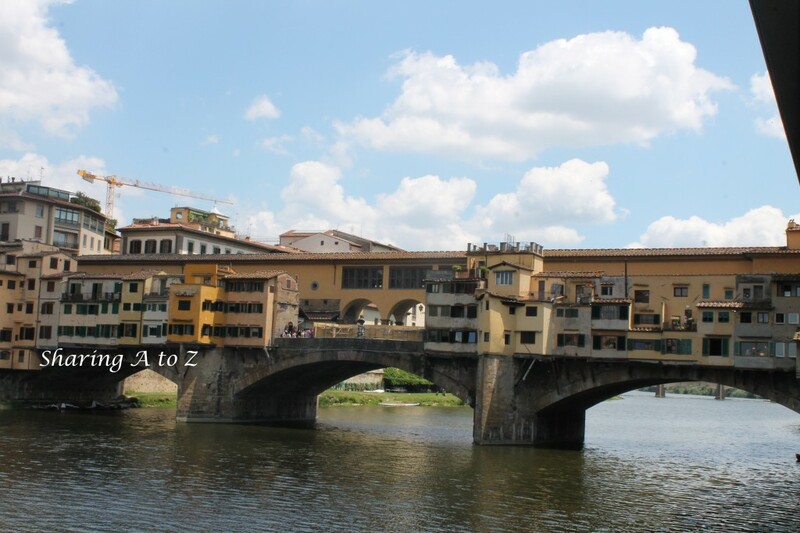 It is a very quaint hotel (not a chain hotel) with a breathtaking view of the famous Ponte Vecchio. For dinner we went to Borgo Antica, a local restaurant with a patio view where the locals congregate at night. The meals were amazing (I tried some of everyone in our group). We finished the meal with grappa, which is an Italian shot made from grape skins. It is supposed to settle your stomach. Day 2 included a walking, guided tour of Florence. We learned about the history of Florence and tasted some of the best gelato. We were told to get gelato from a tin container, not the gelato that was mounded up in a big circle (that was for the tourists). 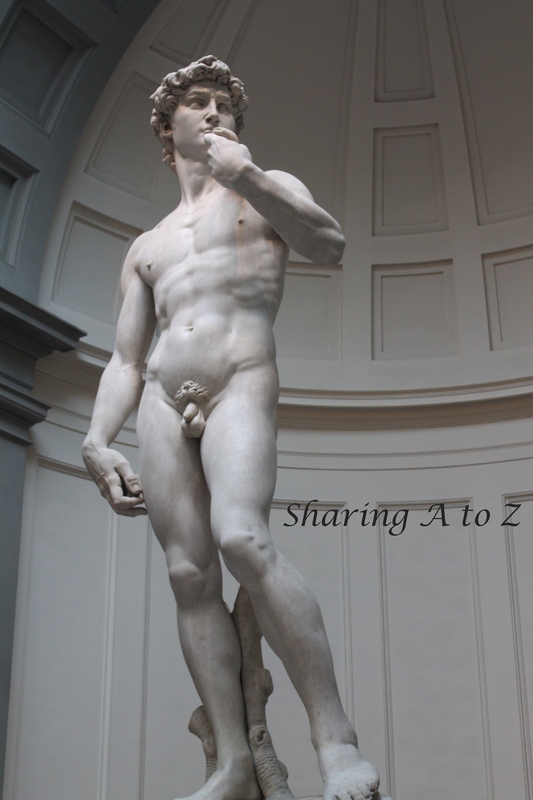 We also went to see Michelangelo’s David at the Accademia Gallery. We had dinner at Piazza del Vino. Day 3 was a free day, where we slept in and then hiked up a hill to the Piazzale Michelangelo. It was there we saw the breathtaking view of Florence pictured below. We of course had more gelato and had lunch at our favorite pizza place, Gusta Pizza. If you are ever in Florence, this place is so delicious and I don’t even like pizza! I don’t remember the address, but it was in walking distance from our hotel. Florence was my favorite city of our Italian vacation. 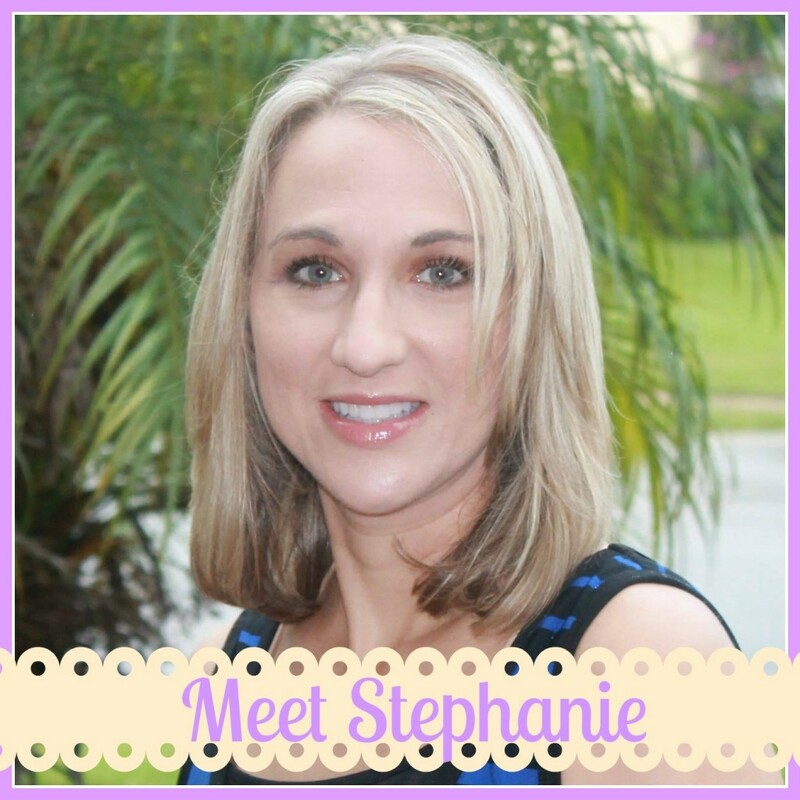 It has a lot of things to do and see without being too overwhelming. That is a nice way to say I didn’t get lost, as much. To read about the rest of our trip, click HERE for Siena and HERE for Rome. For recommendations on what to pack, click HERE. Please share any of your travel tips below. This entry was posted in Travel and tagged David, Florence, Italy, Ponte Vecchio, Travel.